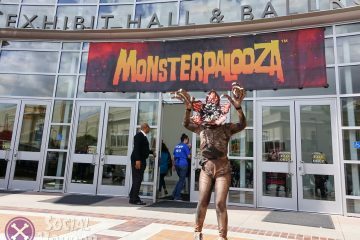 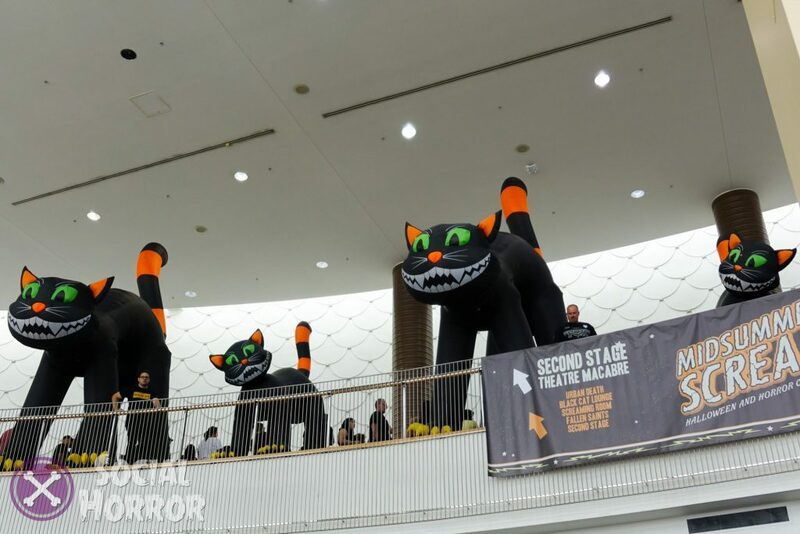 With one of their biggest years yet, this last weekend Midsummer Scream decked out the Long Beach Convention Center in jovial cat faces, spooky castle façade host to an incredible list of vendors, mini-haunts, panels, and a communal space that brought horror and Halloween fans together in celebration. 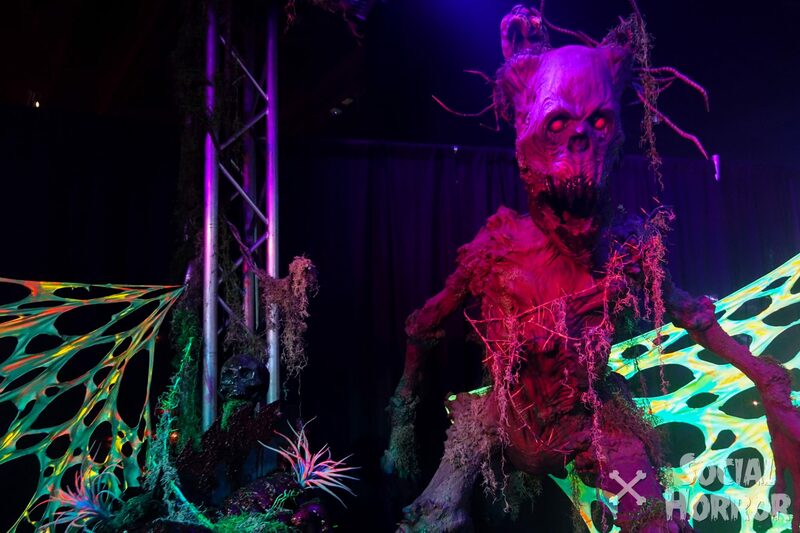 Organized by a team with experience in theme parks, event management, and a love for Halloween and haunts, David Markland and Claire Dunlap of Black Cat Orange, Gary Baker, Johanna Atilano, and Rick West of Theme Park Adventure brought the fire to Halloween in the SoCal haunt scene. 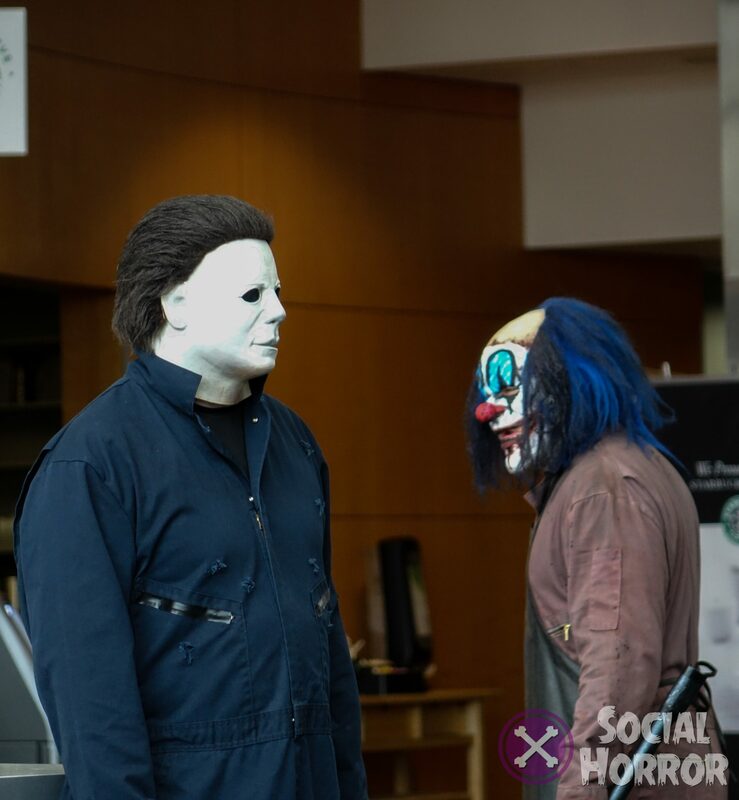 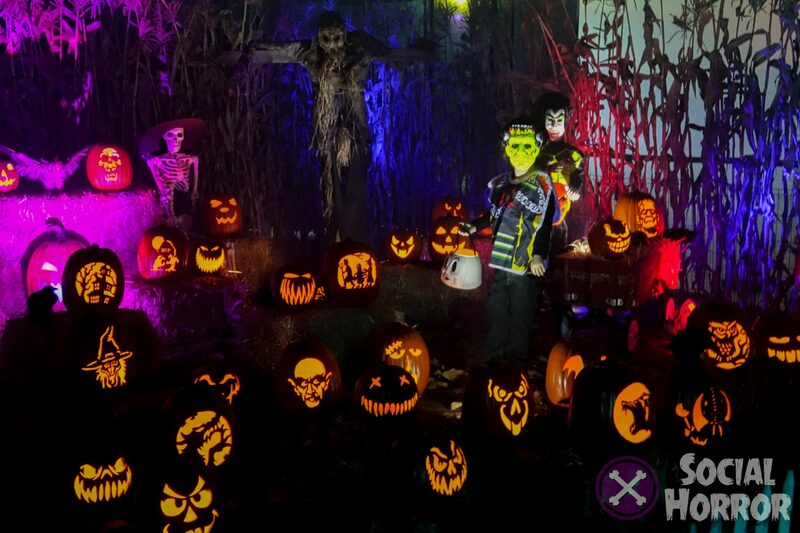 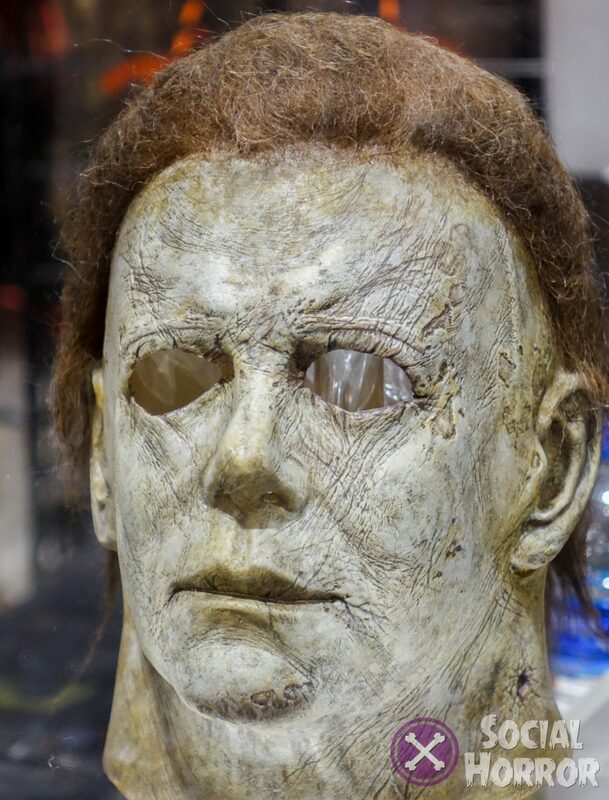 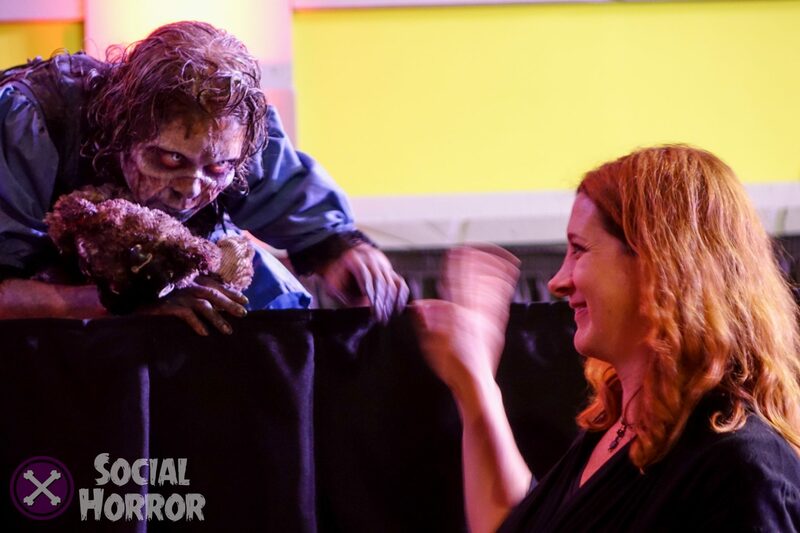 In their third, and so far, most impressive year, the lineups brought iconic horror and haunt-making royalty to stalk the halls and delight fans with photo-ops, autographs, and insights into upcoming Halloween events happening in Southern California and beyond. 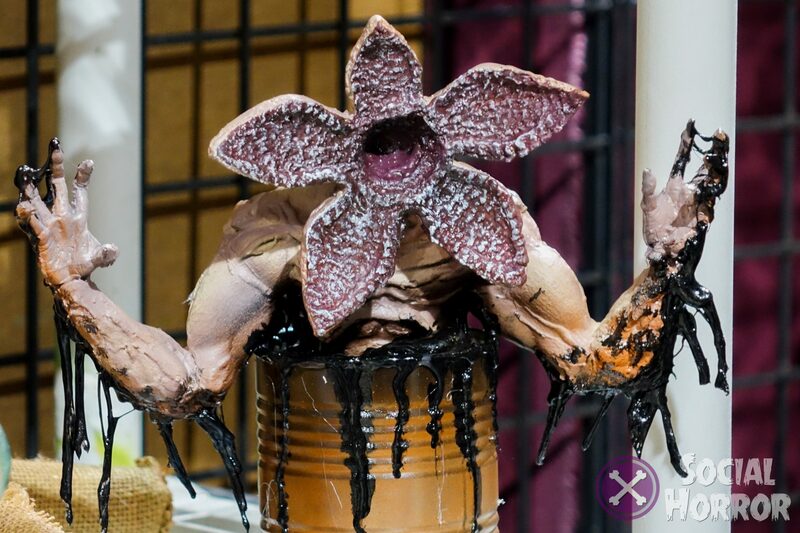 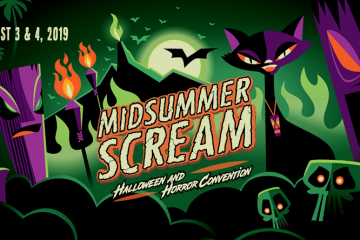 While other horror conventions throughout the year have had great success in finding attendance over many years, the growth of Midsummer Scream in such a short span both in attendance and the range of exhibits and activities for con-goers to experience on the level that they offered this last weekend, will be hard to compete with. 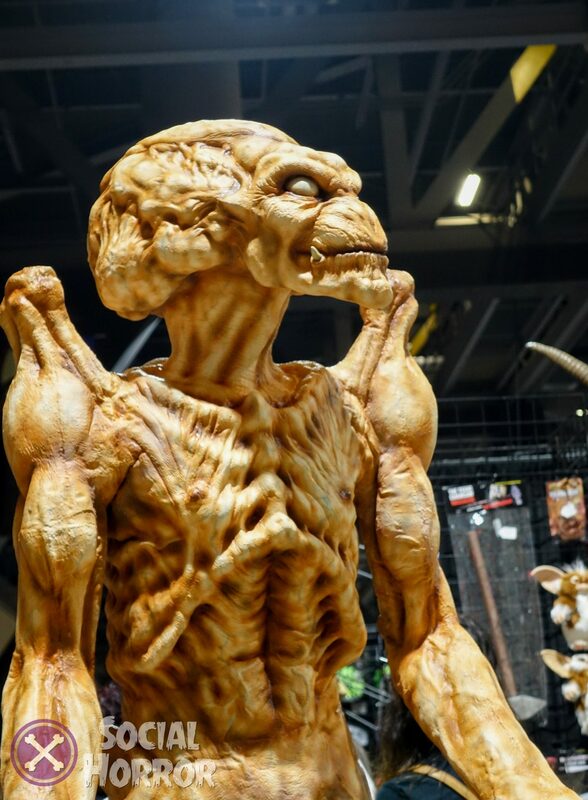 Cruising down the aisles of exhibitors, you would be hard-pressed to see any of the generic offerings that many conventions (horror and non) have by the dozen. 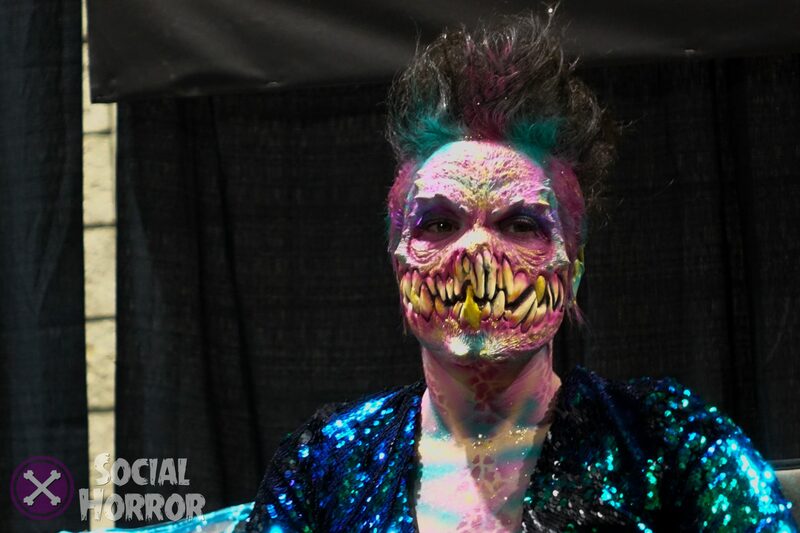 Each artist brought something unique to their tables and it was very easy to cruise around to each of them and simply spend the day marveling at the creativity and talent there was throughout the hall. 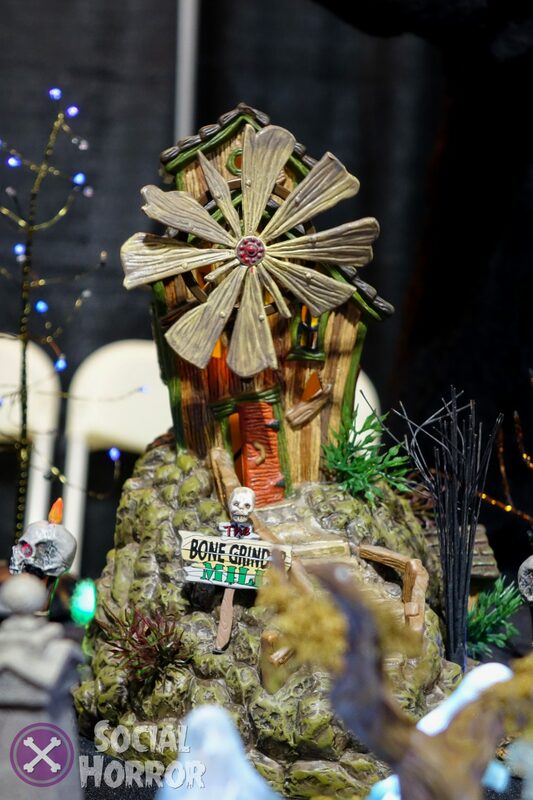 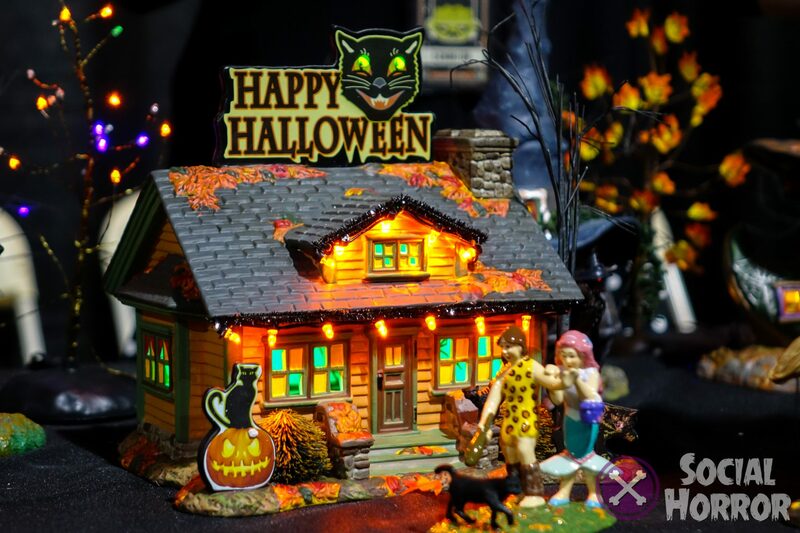 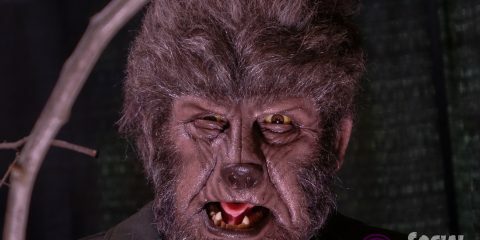 Home and professional haunters had plenty of vendors to choose from when it came to getting their hands on cool gadgets, props, and materials to help bring their haunts to life. 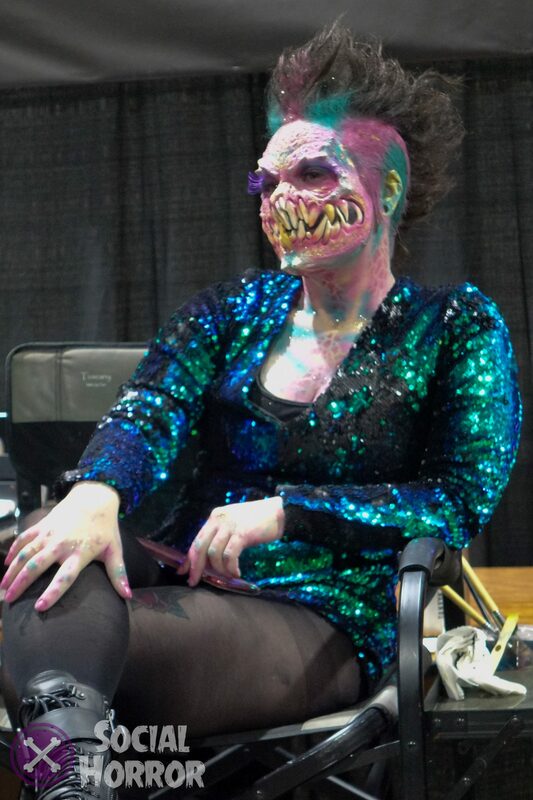 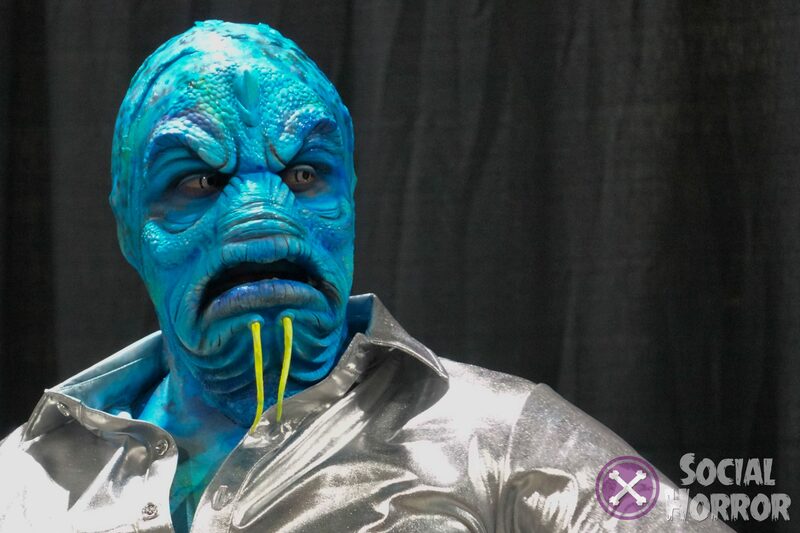 Makeup demos by Boneyard FX also took place at the head of the main exhibitor hall and we caught a few that were pretty fantastic. 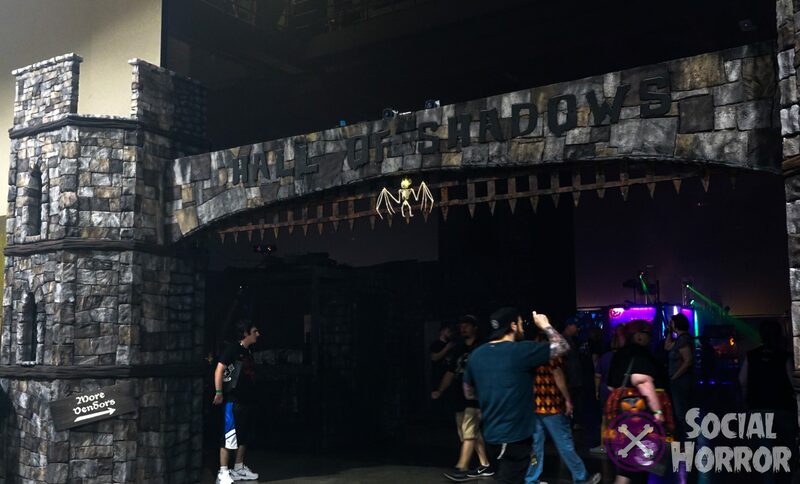 To celebrate the 200th anniversary of Mary Shelley’s Frankenstein, the entrance to the Hall of Shadows featured an amazing façade by CalHauntS. 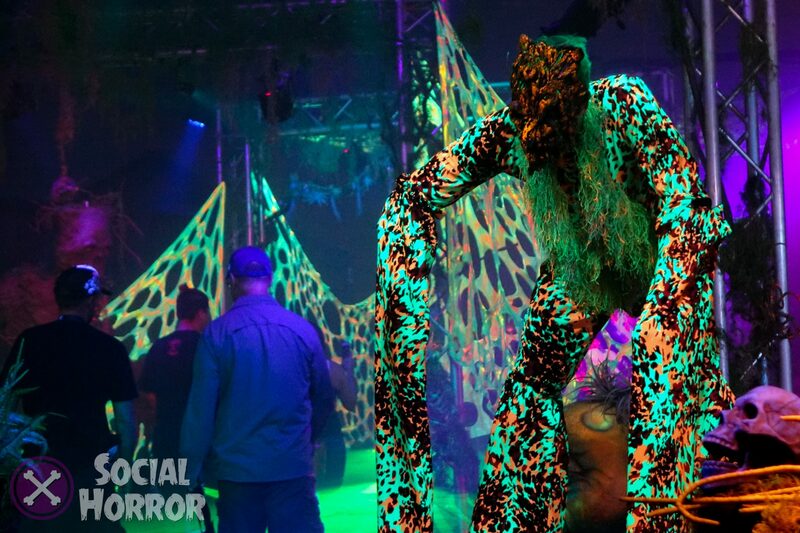 To make this even more impressive, a little show took place in the “castle” with Dr. Frankenstein, his assistant Igor, and other creatures that delivered some pretty great scares. 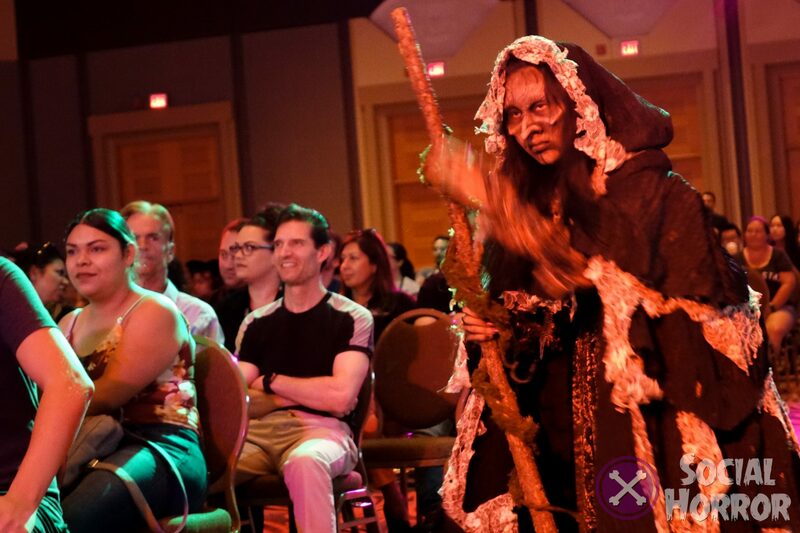 Deeper in the Hall was more vendors like Fog it Up! 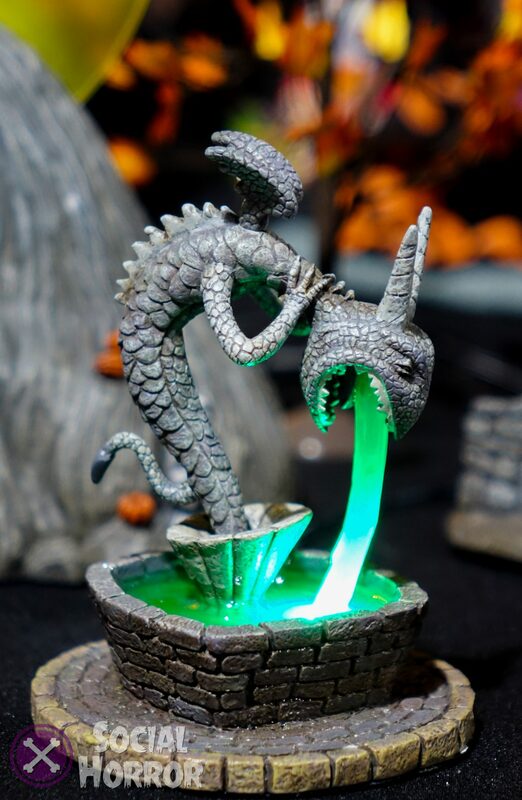 with their incredible array of available fog juices and scents, as well as the Warner Bros. 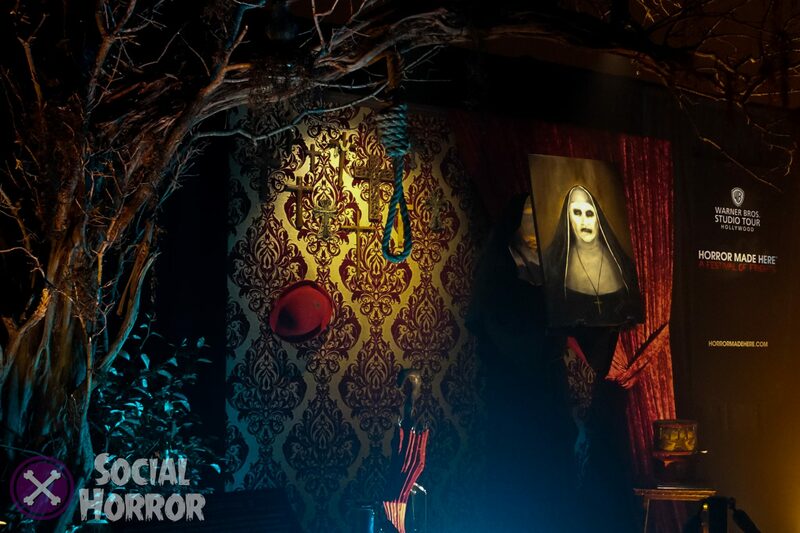 Studio Tour’s Horror Made Here display featuring the Nun from Conjuring 2 and the current crowd-pleaser (for good reason) IT. 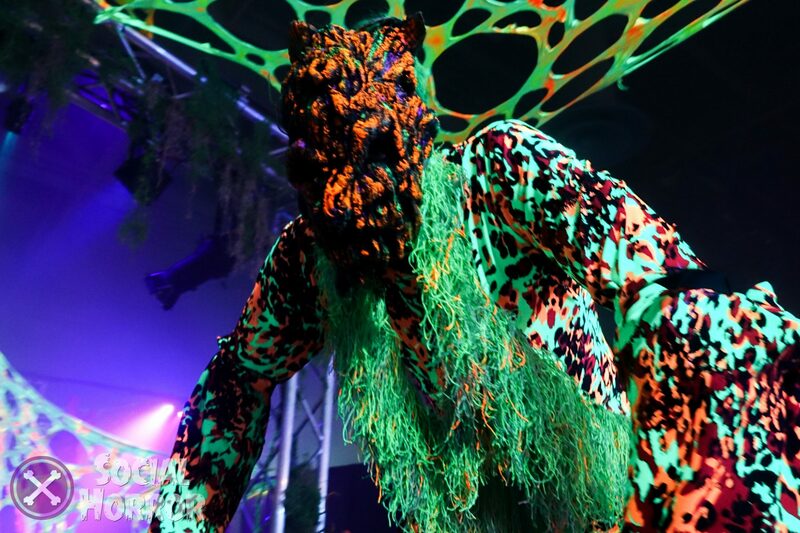 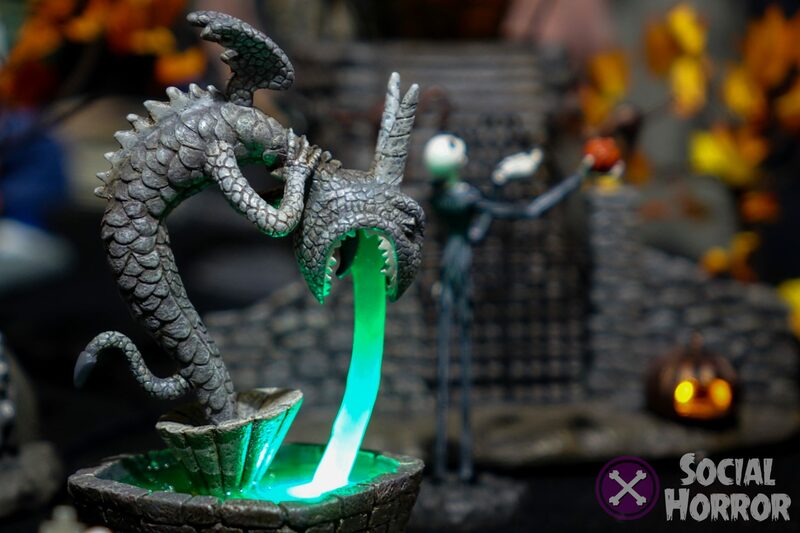 Other great highlights was the themed bar created by Sinister Pointe to preview their upcoming event, Scary Place. 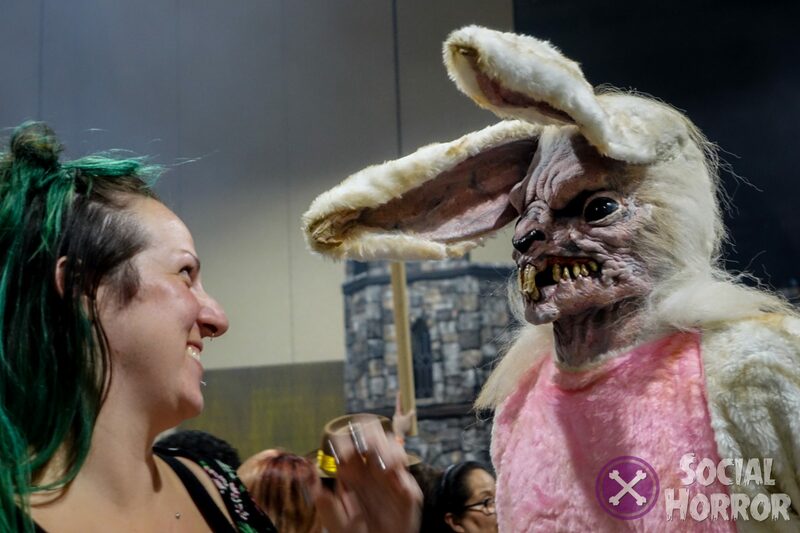 We were delighted to check out a few of the home-haunters, and again, there were so many great options, each had long lines in both their GA and the expedited “Gold Bat” VIP option. 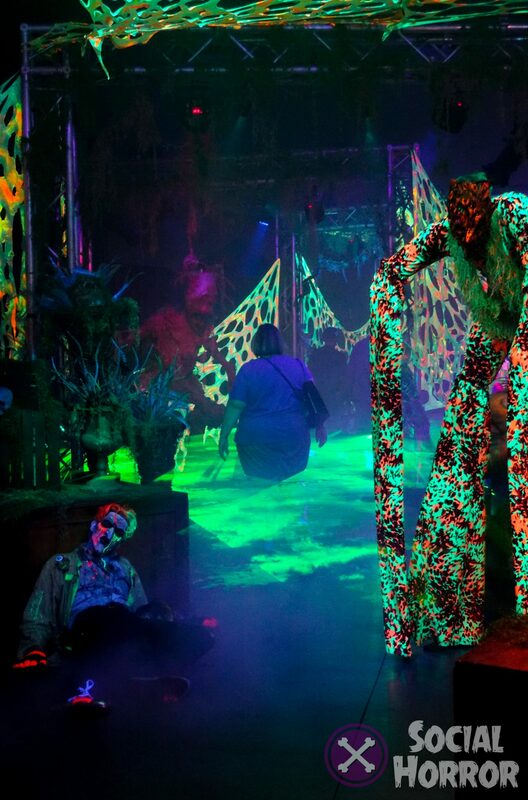 The spacing of the haunts was huge and fantastic. 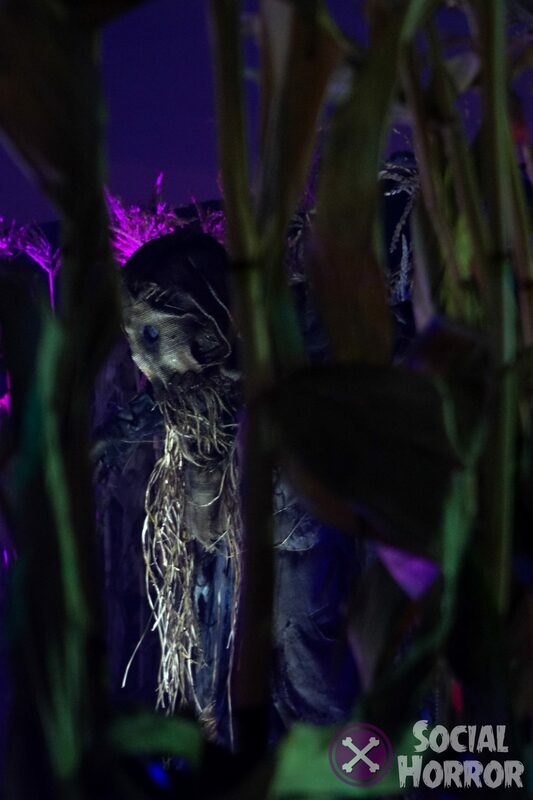 Everything was so well spaced out that the long lines weren’t overwhelming and exploring the space was really enjoyable, especially seeing the wide variety of different kinds of haunts from temperature experiences, escape room, themed, and original. 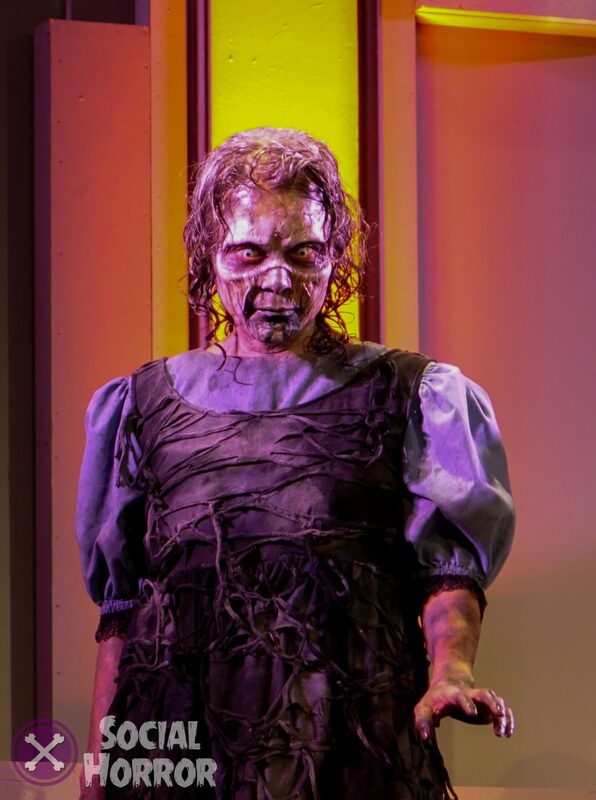 To top this off, Six Flags Fright Fest also put on an excellent blacklight scare zone which was an absolute treat to watch con-goers timidly cruise through. 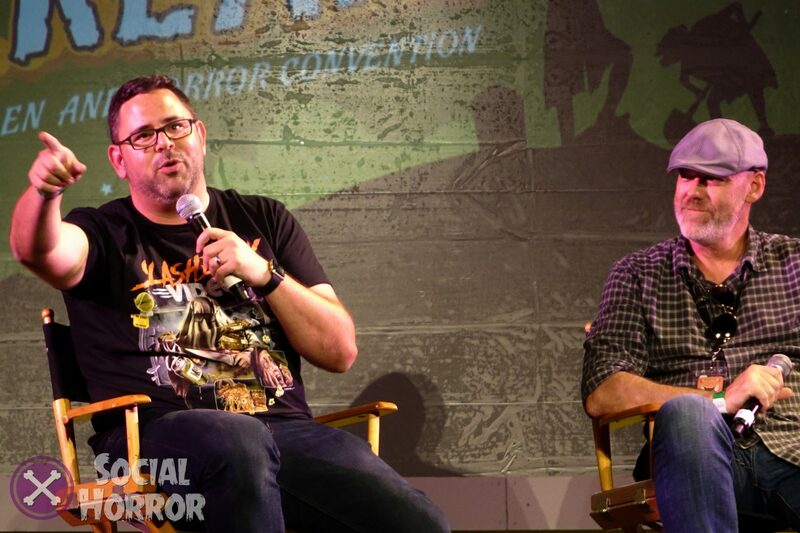 Both days, some of the most amazing panels took place. 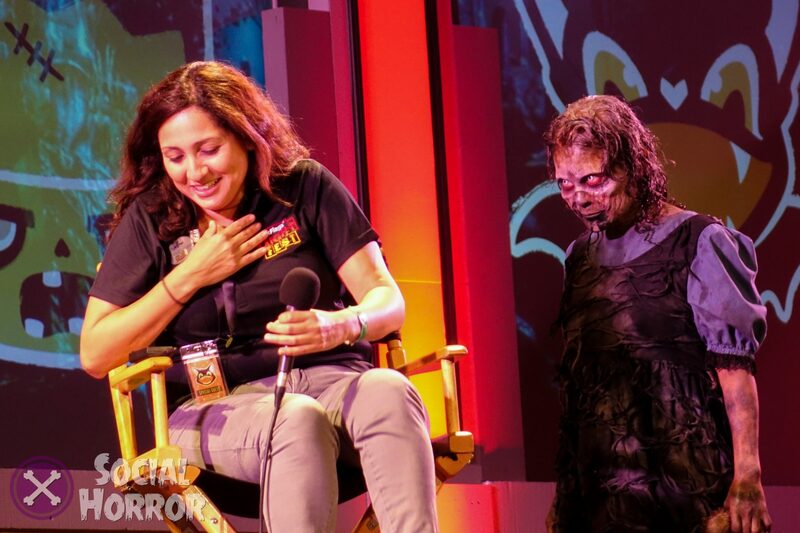 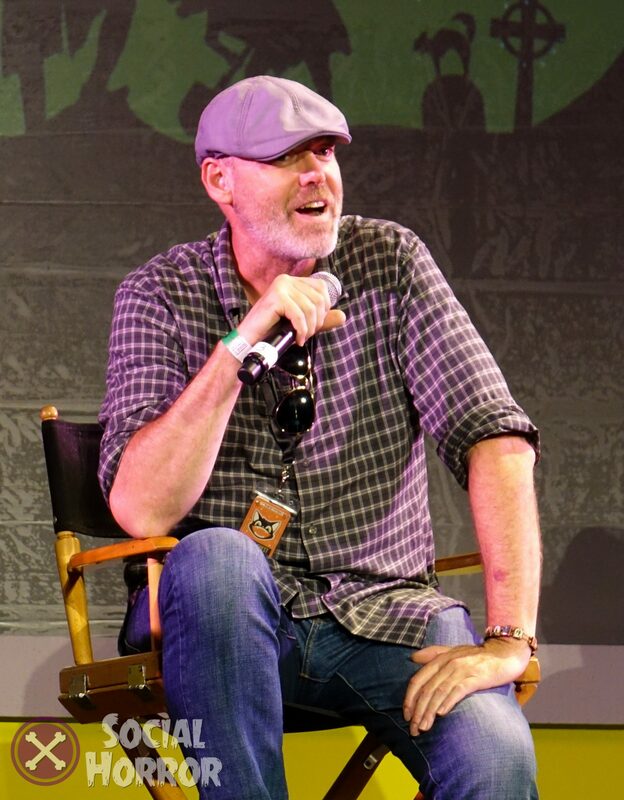 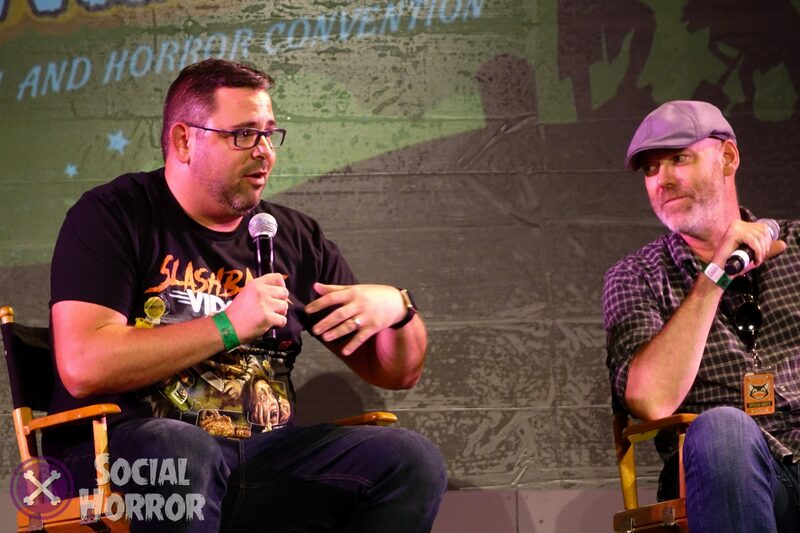 While the regulars like Six Flags’ Fright Fest and others announced what was in store for their upcoming events, a newcomer to the Halloween convention scene, but no stranger to the horror industry, the Horror Made Here panel featuring Warner Bros. announcing their big entrance into the haunt scene was a jaw-to-the-floor experience. 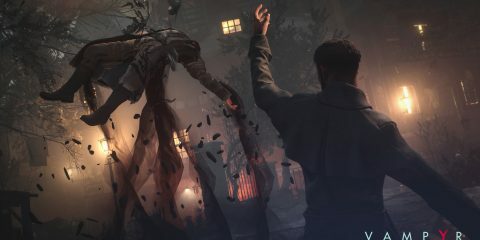 There was a lot to process from such big news and excitement, a topic for something we’ll be able to provide more information and a breakdown on its own. 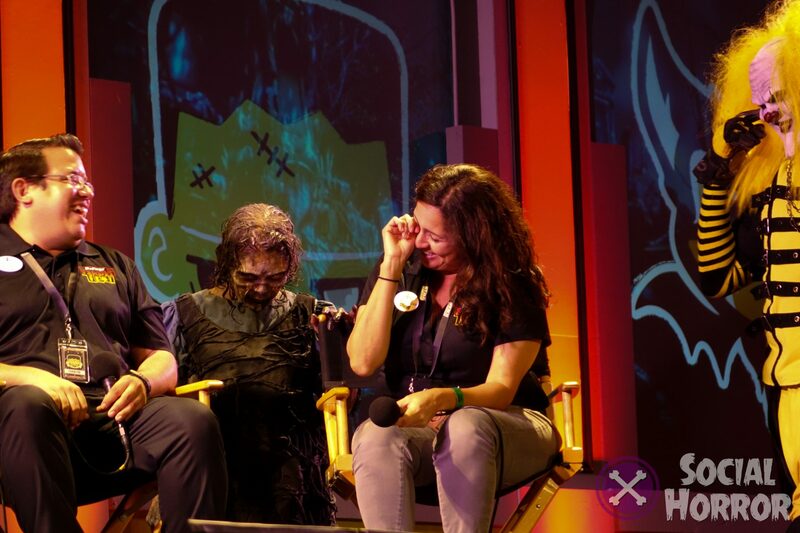 However, the icing on the cake for Midsummer Scream among panels like the 25th celebration of Hocus Pocus that featured guests that made the now classic go-to Halloween movie happen, was of course the almost cult-like following that is Universal Studios’ Halloween Horror Nights. 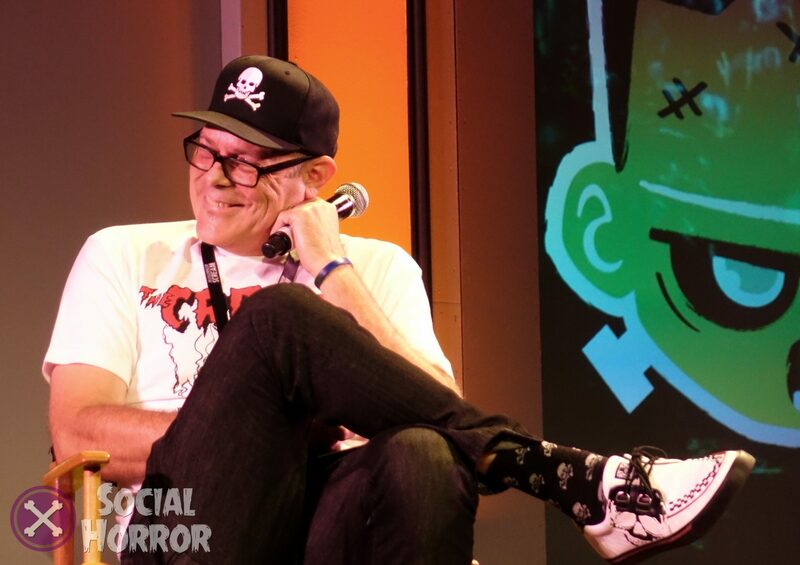 For the first time, ever, the dynamic duo, Creative Director, John Murdy and Art Director, Chris Willams were joined by the Senior Director of Entertainment Creative Development for Universal Orlando, Mike Aiello. 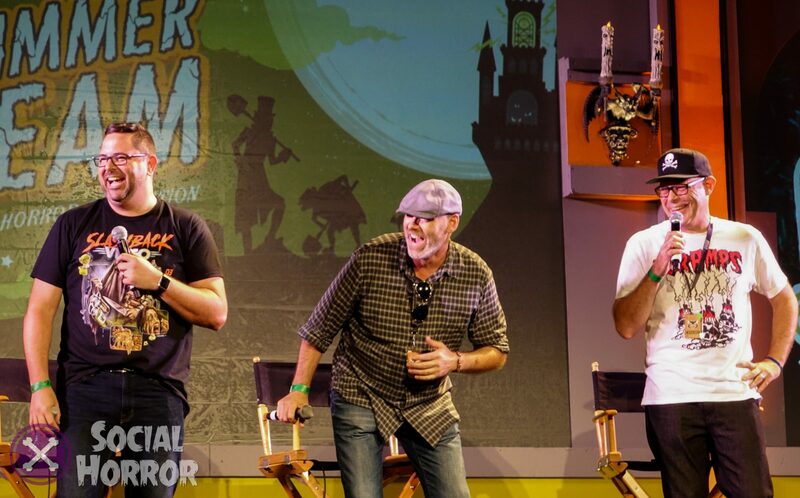 The onstage chemistry these three had was brilliant as they gave glimpses into the different processes that each park goes through in haunt maze and house development, entertaining tens of thousands each Halloween season. 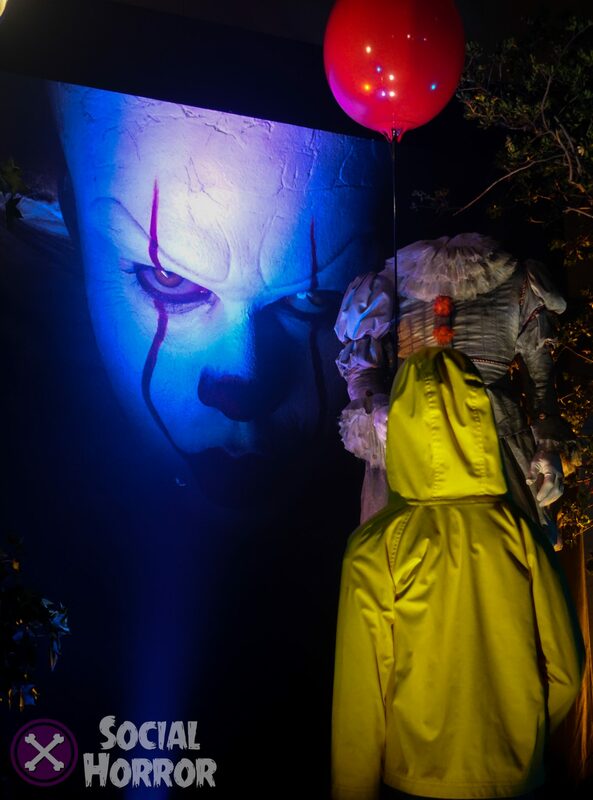 As an avid fan of both parks’ events (I’ve been very lucky to attend HHN 25 and 27), they were hailed like rock stars. 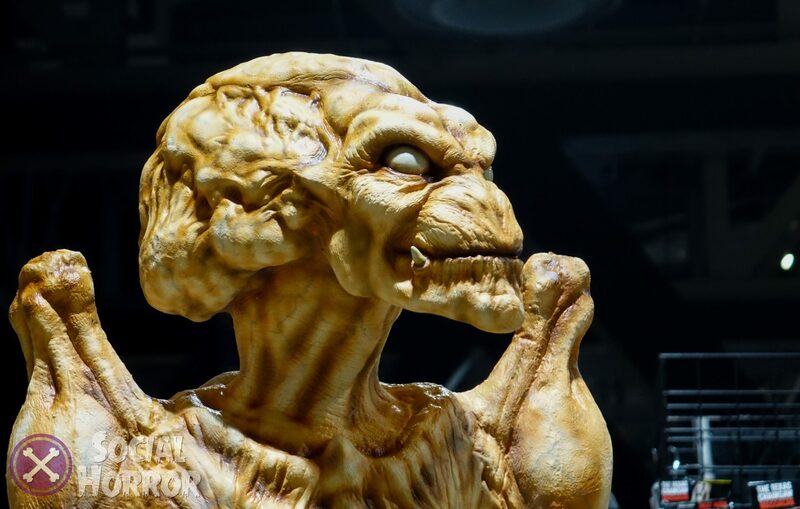 What ended up being an over two-hour presentation, the only shred of news amid the current announcements that came from it was there would also be a Trick r’ Treat scare zone for Hollywood’s event this year. 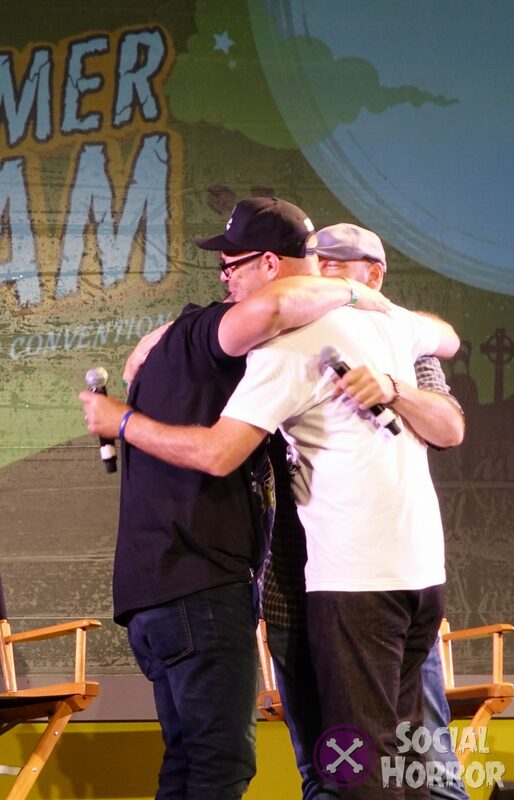 Seeing the meeting of East and West was a delight, made happen by the crew that worked year-round to bring this year’s lineup to the fans. 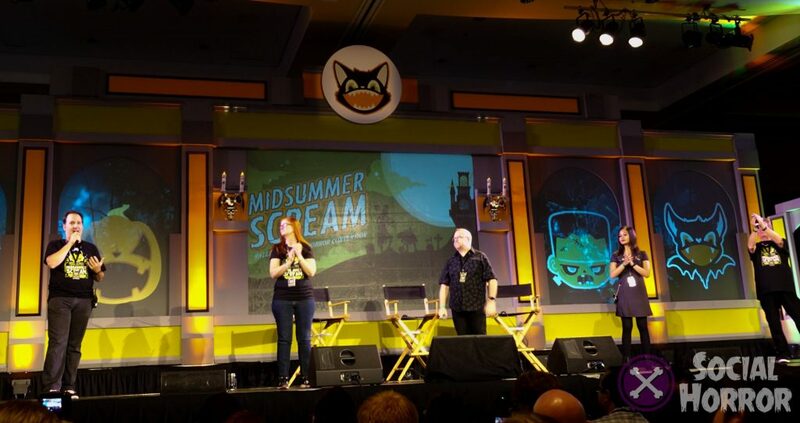 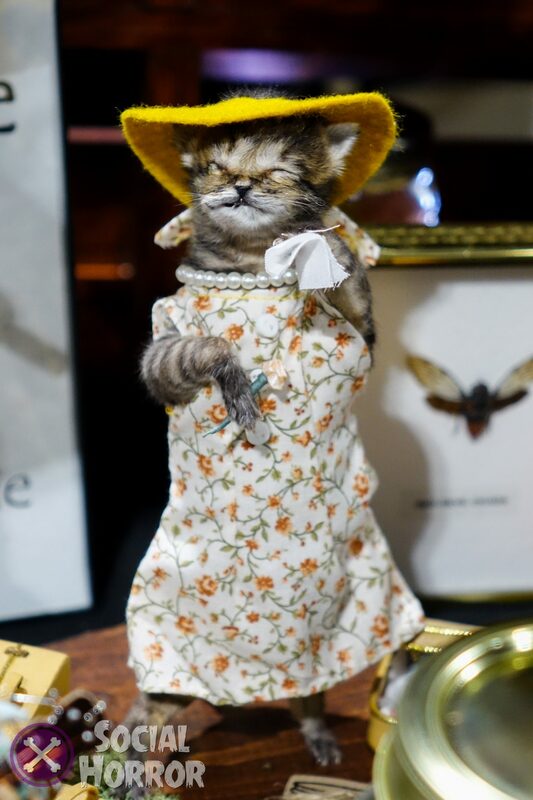 Already announced, the fourth year of Midsummer Scream will take place August 4th and 5th in the same location and again, there is so much we missed in this year’s event, especially not having the time to go see the Black Cat Lounge that featured adorable adoptables from Kitten Rescue Los Angeles which was a highlight to last year’s event. 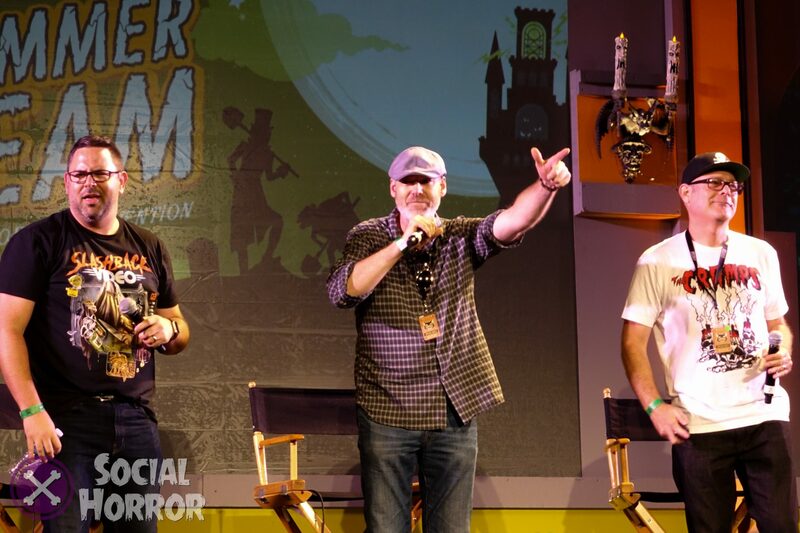 We are looking forward to what is in store for the future for the Mixsummer Scream team. 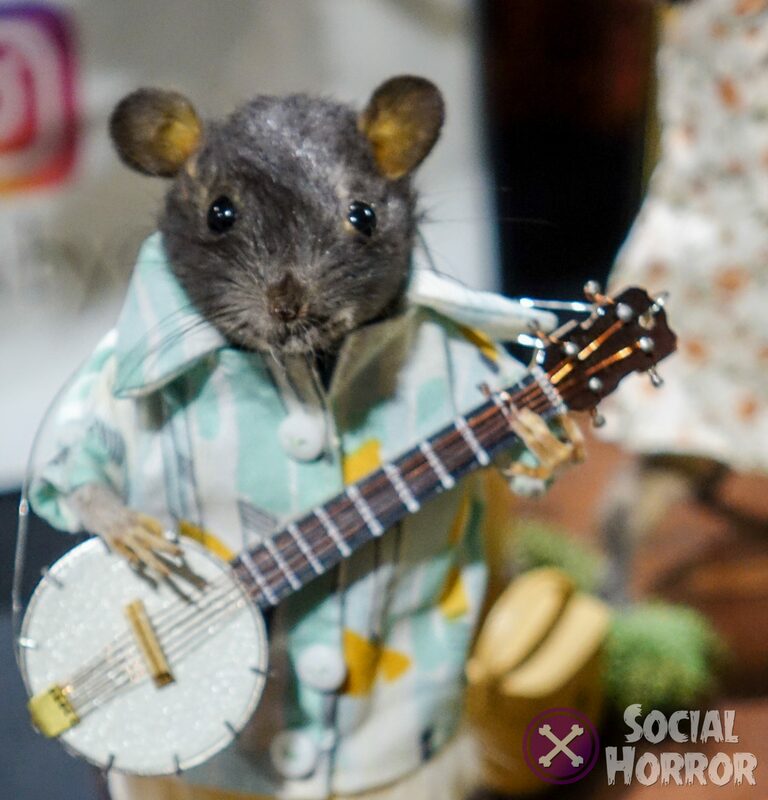 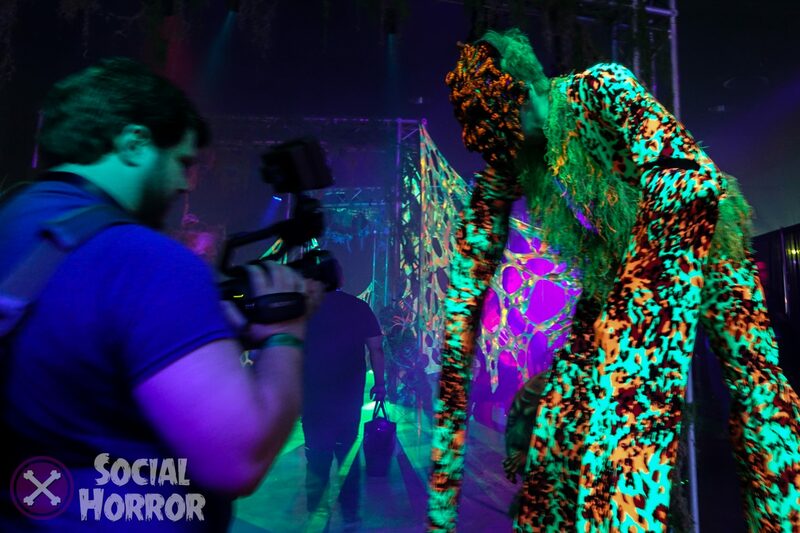 We’d like to thank Midsummer Scream for having us out to this event and enjoy the additional pictures of what we found interesting below! 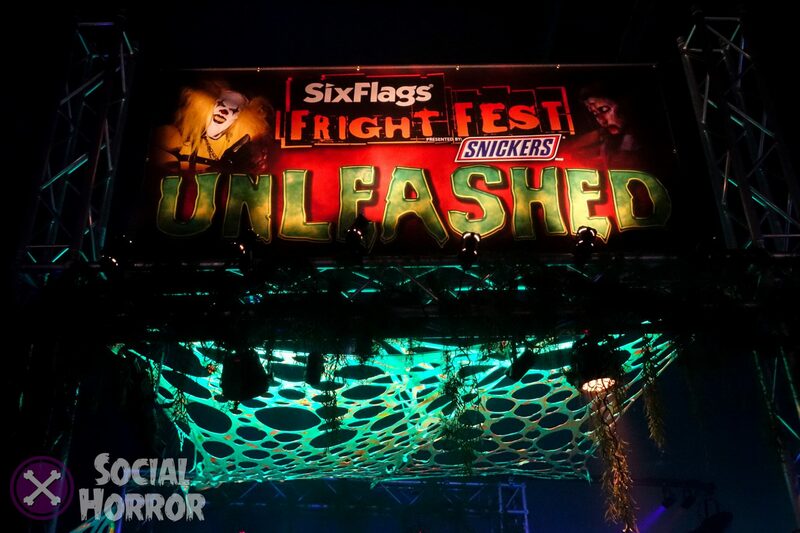 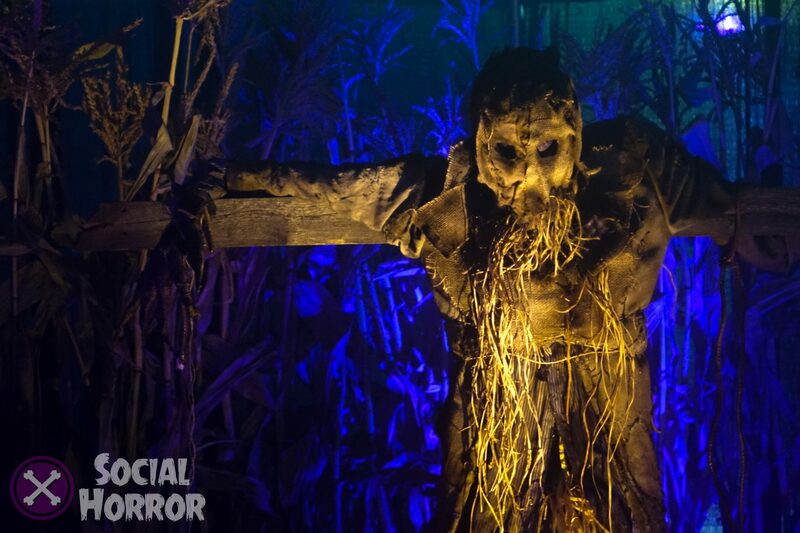 ** This article has been updated to mention the Six Flags Fright Fest scare zone, which was very enjoyable!